Perhaps you’ve tried some DIY repairs in the past; the truth is that those can work for awhile, but in many instances, the windows are back to functioning improperly in no time at all. The good news is that the team at West Knox Windows and Siding can help to put the issues you’re having with your windows to rest once and for all. Thanks to a combination of modern window manufacturing technology and the dedicated attention to detail and craftsmanship of our crew, having replacement windows installed in your home is easier and more effective than ever before. We’re a local family owned and operated window installation company that is committed to making your home a better place to live. Have a specific idea for what type of windows you’d like in your home? We’d be happy to work from your plans. Need advice about what we think would look best and be most practical? We would be glad to provide you with a recommendation. Whatever the case may be, we want you to know that we pride ourselves on doing quality work and getting it done on time and on budget. It really is as simple as that! Getting new windows shouldn’t be a hassle, and it won’t be when you choose to partner with the team at West Knox Windows and Siding! If your home isn’t brand new, there’s a good chance that you have a window or two around the house that just doesn’t work the way that it’s supposed to. After all, a window that is stuck shut isn’t entirely practical. When it’s nice outside and you want to open the windows to let in a cool breeze, having one that won’t open just won’t do. Even if it’s in a room that doesn’t get much use, having a window that doesn’t open just isn’t practical. If your windows aren’t opening, we’d be glad to come by and provide you with a free quote and take care of the problem, ensuring that you have beautiful windows that function as they were designed to. We mentioned this above, but there’s nothing worse than running your air conditioner in the summer and dealing with a leaky window that’s letting hot air in from outside. As you probably know, temperatures here in Knoxville can get up there pretty quickly and it just doesn’t make sense to pay to cool your home while your windows are letting the outdoors inside. Similarly, when it’s cold outside and you’re paying to heat your home, you don’t want a gust to blow through your window, causing your furnace to kick on earlier than it needs to. The truth is that many people choose to deal with a window that is letting air in from outside, but they draw the line when the window is letting in rain or snow (or perhaps worst of all, insects). A leaky window is a pain that can lead to damages around your home, so if the elements are making their way into your home through the window, it’s probably time to make a change. Another common cause of frustration that people experience with their windows comes in the form of sound. Are you tired of hearing your neighbor fire up the pickup at 5:30 every single morning? Do you get frustrated when you can hear a dog barking down the block while you’re trying to relax at night? If sounds are making their way inside of your home, replacement windows might be the answer you’re looking for. 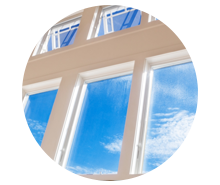 Modern technology has produced windows that are much thicker than they were in the past, allowing them to keep out wind, rain and snow, and yes, sound. Another common reason that people choose to have new windows installed is because they’ve remodeled the exterior of their home and the windows just don’t match anymore. (One quick side note: at West Knox Windows and Siding, we can also handle siding installation for your home, as our name implies, allowing you to tackle a couple of different projects at once and add curb appeal, value, and practical function to your home!) After all, it just doesn’t make much sense to pay attention to all of the other details around your home and leave out getting new windows! 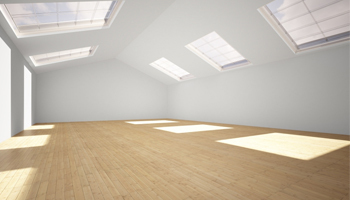 Did you know that replacing the windows can get you back up to 75% of your investment when you go to sell your home? Comparatively, something like a bathroom addition or remodel will only get you around half of that money back when you go to sell. In other words, updating the windows on your home could be a financially intelligent decision that provides you with benefits while you’re living there, but is also an appealing upgrade to potential buyers. Sounds like a win/win to us! Every home is unique and different people have different preferences. We believe that offering a great selection of windows helps you to fulfill the vision you have for what your house should look like. After all, our homes are where we go for rest and relaxation. They’re where we create memories. It just makes sense to ensure that they look and function their best. 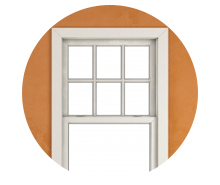 With that in mind, let’s take a look at some of the different types of windows that we offer. Double-hung windows represent a great option for many homes thanks to the fact that both the top and bottom of the window can be opened. The double-hung vinyl replacement windows we use are multi-chambered and filled with foam for maximum performance and durability. Perhaps best of all, however, is the fact that they come standard in energy-saving configurations. With tilt-in tops and bottoms, it’s incredibly easy to clean these windows. The window replacement cost for double-hung windows is incredibly affordable and we believe that this is a dependable option for many homes. Like the double-hung windows above, our sliding windows are multi-chambered and foam-filled for maximum performance. 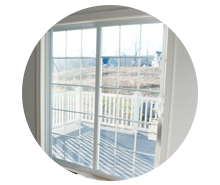 2- and 3-panel options ensure that your home is able to let in plenty of fresh air and we’re proud to offer amazing features such as enhanced window stripping, dual brass roller systems, hidden screen tracks, and theft deterrent locks. In many instances, having windows that open horizontally is going to be a better option depending on their application. Replacement casement windows can provide a bold look to your home and they are available in a number of different styles to suit your personal preference. We believe that windows can add an element of style to your home and the casement windows that we offer are available in configurations ranging from a single unit up to a 6-unit design and they’re also filled with foam for maximum performance and between the multiple color options, the beveled exterior sashes, the compression inner bulb seals, the crank mechanics, and the multi-point locking systems, these windows are hard to beat. As we mentioned, these windows provide a unique and striking look for your home and provide a bit of time-tested appeal. At West Knox Windows and Siding, we are proud to offer a number of different options when it comes to new windows for your home. In addition to the windows mentioned above, we can do garden windows, picture windows, bay windows, transoms, arched windows, hopper windows, and many more. After all, we have the word windows right in our name, so it wouldn’t make much sense if we couldn’t offer our customers plenty of options to suit the unique needs of their homes, would it? If you need something specific, but you don’t see it listed above, don’t worry. Instead, contact us today because we’d be happy to provide a free quote for replacement window costs for pretty much any style out there. Need a New Patio Sliding Door? 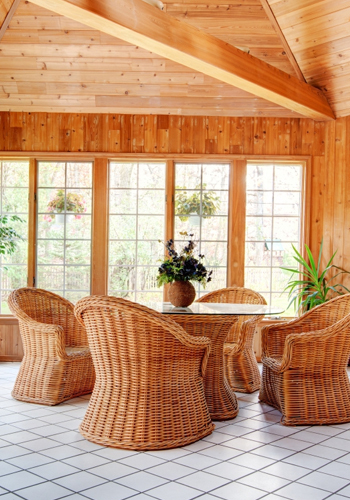 We truly believe that there’s nothing that adds to a home quite like a porch, patio area, or deck. It just makes sense to have patio sliding doors that are there to invite you out to spend some time relaxing on such a beautiful part of your home. We’re proud to offer sliding door replacement and installation to ensure that your home gets exactly what it needs. Available in a number of sizes, colors, and configurations, the patio sliding doors that you’ll get from us are top-of-the-line and designed to look great and stand the test of time by including a number of different features. Are You Searching for a Window Installer in Knoxville? Here’s What You Can Expect From Us! When it comes to replacement windows in Knoxville, the team at West Knox Windows and Siding strives to be the go-to for homeowners. We pride ourselves on offering quality craftsmanship on each and every job that we undertake. If you contact us to get a free quote, we’ll come out and take a look around; we’ll also listen to your needs. From there, we’ll let you know what we think, providing you with an estimate for the work that needs to be done. Whether you’re in the market for one of the windows mentioned above or you need something completely different, you can count on us to get the job done at an affordable price. One of the things that separates us from others in the industry is that we can take a “no” just as graciously as we can take a “yes.” The truth of the matter is that we don’t staff our team with pushy salespeople. We don’t come up with over-the-top discounts to try to reel you in. We don’t write up a contract that’s full of fine print. Instead, we take the approach that window installation doesn’t have to be a complicated affair. We’ll provide you with a replacement window cost quote and we’ll get the job done the right way the first time around. It’s as simple as that. At West Knox Windows and Siding, we take great pride in the replacement windows that we install in Knoxville and the surrounding area. It’s the reason that we offer a true lifetime guarantee that covers all aspects of your project from materials to labor to installation. In other words, it’s the guarantee that you’ll have peace of mind about your project. We know that undertaking a project like having new windows installed is a big decision, but we hope that when you reach out to us, you’ll see that our top priority is taking great care of our customers. At the end of the day, that’s what it’s all about. We believe that windows can make a massive difference in everything from the visual appeal when viewing your home from the outside to letting in beautiful natural light to showcase the hard work that you’ve put into making your home a great place to live. Take a look at our credentials and you’ll see that we’re one of the most trusted names when it comes to window replacements in Knoxville and the surrounding area. If you’re considering replacing the windows on your home, contact us today to get a free quote and see for yourself. We look forward to hearing from you! REACH OUT TODAY TO GET A FREE QUOTE!